“Ambassadorizing” their associates nets bottom-line results for St. Vincent’s HealthCare. St. Vincent’s HealthCare is a faith-based, not-for-profit health system that has served Northeast Florida since 1916. A member of Ascension Health, the system consists of St. Vincent’s Riverside, St. Vincent’s Southside and St. Vincent’s Clay County. In recent years, St. Vincent’s HealthCare had suffered through some difficult challenges, including a revolving door in senior leadership, a severely underperforming facility and a decline in morale amongst associates and physicians. Not surprisingly, the organization’s reputation in the marketplace had taken a hit, resulting in lower volumes. Going “above and beyond” for patients was a part of the DNA of the organization, but not celebrated internally or externally. bp|d interviewed dozens of senior leaders, managers, associates and physicians. They shared amazing stories of what made St. Vincent’s so special, detailing the heroics that occur every day throughout their hospitals. Everyone—from leadership to physicians and associates—went “above and beyond” the call of duty to enhance the patient experience. Through an integrated internal and external campaign, we looked to celebrate the organization’s heroes. We believed that this would re-inspire our internal audiences while concurrently positioning the brand as the service leader in the region. 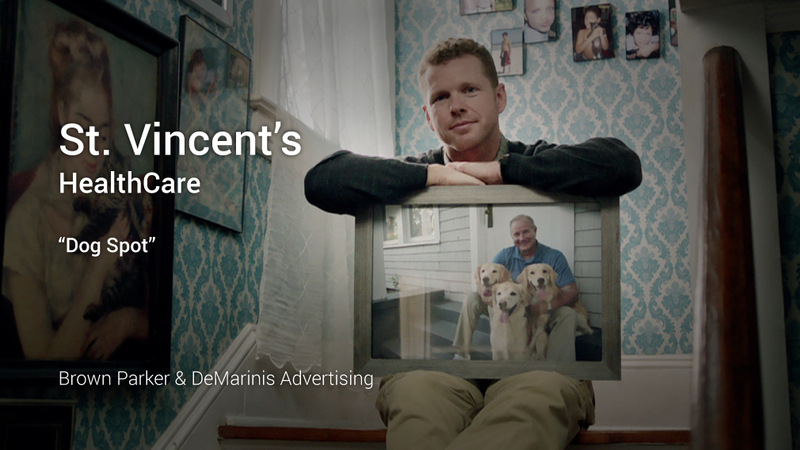 TV commercials, billboards, radio, print and online videos were created that dramatized the heroics of St. Vincent’s team members who go above and beyond every day for their patients...not because they have to, but because it's their calling in life. 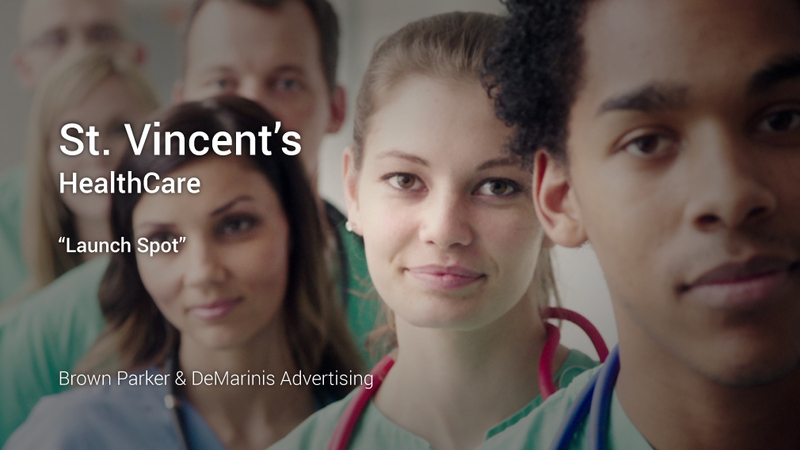 St. Vincent’s became the fastest growing healthcare provider in the marketplace. These heart-warming tales of compassion not only served as inspiration within the hospitals’ walls, but connected with the market at large, resulting in a dramatic jump in brand awareness, preference and service line volumes. to St. Vincent’s right now". 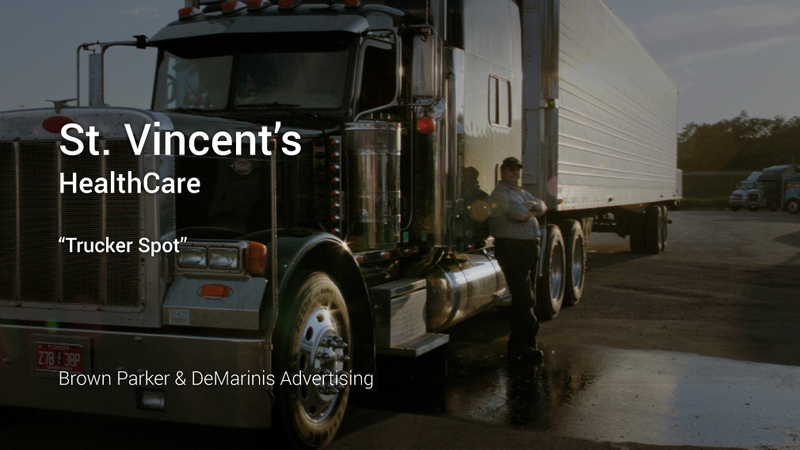 Strategic Healthcare Marketing covers the story of how a bp|d branding campaign raised consumer recall of St. Vincent’s HealthCare from fourth place in their market to No. 1.